How to Start a Blog on SiteGround and Make Your First $1K Blogging! *Disclosure: I may earn a commission from products I recommend below through my affiliate links. I personally use and recommend SiteGround! Want to learn how to start a blog on SiteGround and then make money blogging? Can it even be done? Oh yeah, and I also made $3,575.05 in February 2018 in passive income from this blog. All this blogging has taught me a thing or two about what it takes to start a successful blog and what the best hosting companies are. Okay, so I know what you’re thinking: Setting up a blog/website is SO complicated and I’m not very techie, don’t I need to hire a developer to build one for me for $2,000?? NO, PLEASE NO! If you’re just starting out, keep your costs lean for now. I am a HUGE DIYer and I believe every blogger and business owner should know the basics of WordPress sites. Friend, you are about to save a ton of money by DIYing it. And I am here to help! A blog is a website with a homepage that lists the latest posts in chronological order, with the most recent posts showing up at the top. So does your business need a blog or a website? BOTH! It’s up to you if you decide if you want your business website’s homepage to show your latest blog posts, or if you want your site’s homepage to be static with welcome text, info about your services, etc. My business website is my blog, The Wherever Writer. You can see what I mean by going to whereverwriter.com’s homepage and seeing that my latest blog posts show up on it. The advantage of blogging is you create more content, which helps your business get found via search engines (through a process known as SEO, Search Engine Optimization). Let’s use a house metaphor to make this super simple to understand. Your visitors are your guests whom you are inviting into your house (your website) for a delicious meal (your content)! To remain balanced, there are SO MANY OPTIONS for hosting companies. Popular ones include HostGator and Bluehost (my former hosting company) BUT I highly recommend SiteGround. You can go here to find out why I switched from Bluehost to SiteGround. Yep, I make money blogging. Lots of others do too. Just as with any business, if you have a solution to people’s problems, they’ll gladly pay you to solve them! How to Start a Blog On SiteGround in 6 EASY Steps! All right—now before we build your awesome house, you’re going to need to buy a plot of land for it. Go to SiteGround.com and select a hosting plan. If you’re just starting your blog, go with the most basic and cost effective plan, StartUp. But keep this in mind: If you get StartUp, you can only host ONE blog on your SiteGround Account. 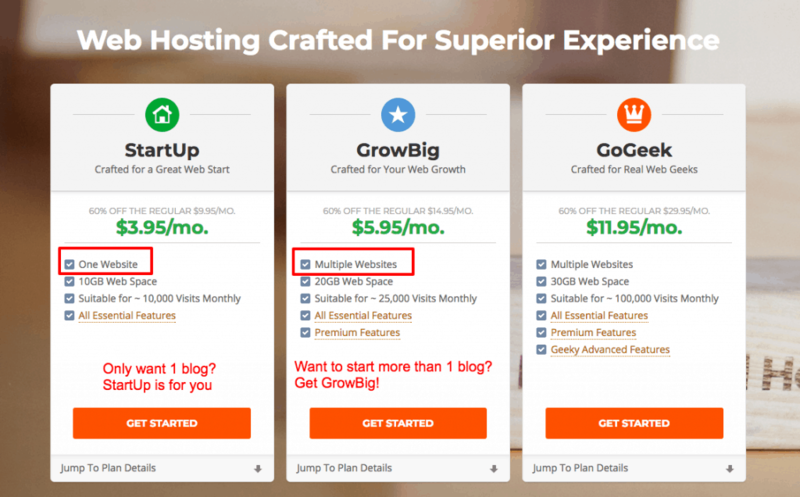 With GrowBig, you can host UNLIMITED blogs. You can always upgrade your plan later as you grow. That’s what I did. I started with the GrowBig plan and then graduated to the GoGeek plan as my website grew! 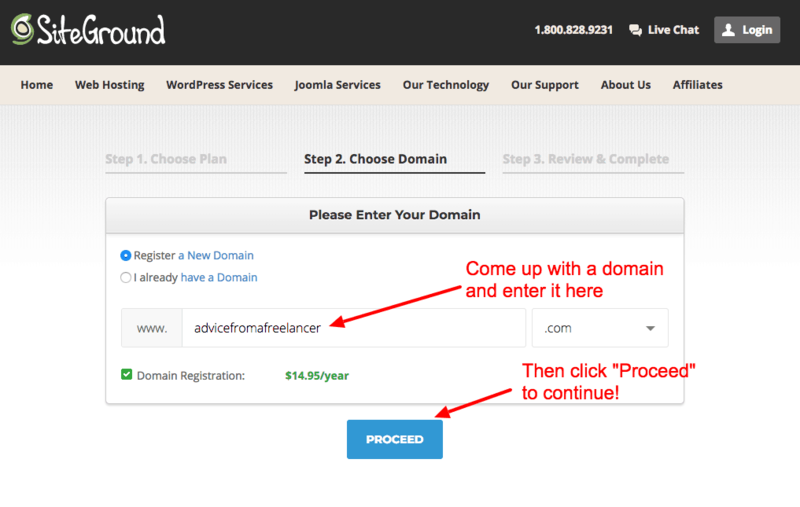 Step 2: Choose your domain name. How are your visitors going to find your “house”? That’s right–you need a domain name to give your blog an address. How do you get a domain name? You can get it right inside SiteGround for $14.95/year! It’s all part of the installation process. Alternatively, you can buy a domain name from one company, and purchase hosting with a different company, or you can buy both in one place. Personally, I bought my domains through Bluehost, but I have my web hosting with SiteGround. 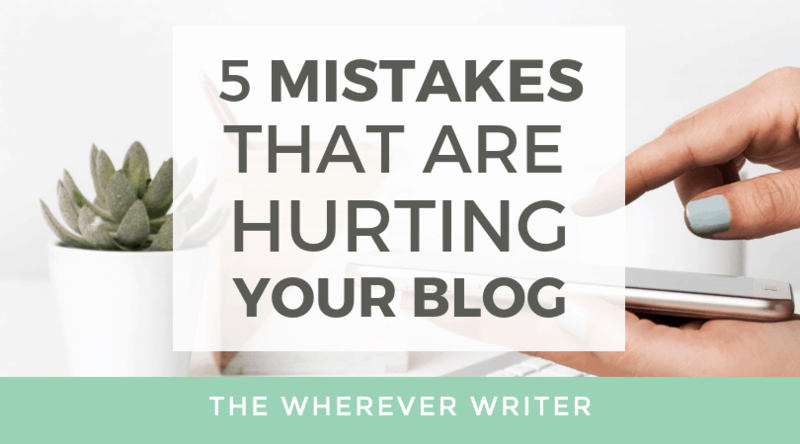 Don’t get too hung up on this or else you may never start your blog. Remember, you can always change your domain name later, and a domain typically costs around $10. 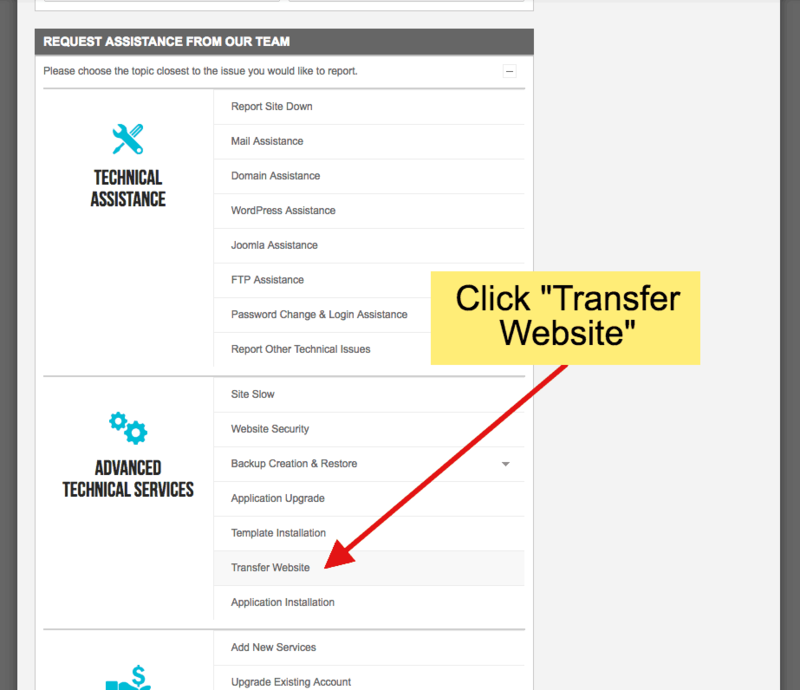 You can also always transfer a domain name from one company to another. For example, if I wanted to, I could transfer my domains from Bluehost to SiteGround. If you’re a freelancer, it makes sense to buy your own name, if it’s not already taken. (Example: YourFirstNameYourLastName.com) Otherwise, try to choose a domain name that makes sense for the type of blog and/or business you’ll have. Example: I chose whereverwriter.com because I planned to write about my travels and I’m also a freelance writer. Step 3: Fill out your information. In this step, you’ll create your account username and password, fill out your contact and payment info, and then select your hosting period. For hosting, you can start out with 12 months. In the “Extra Services” section, I highly recommend getting Domain Privacy. Without it, anyone can find your full name and address just by searching your domain! I purchase Domain Privacy for every domain I buy. Step 4: Install WordPress. 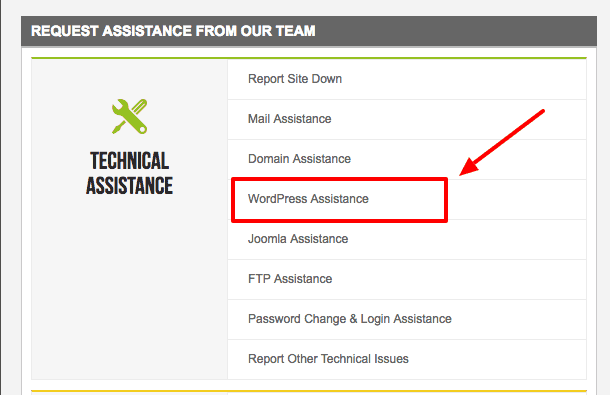 Open a support ticket to have SiteGround install WordPress FOR YOU for FREE! 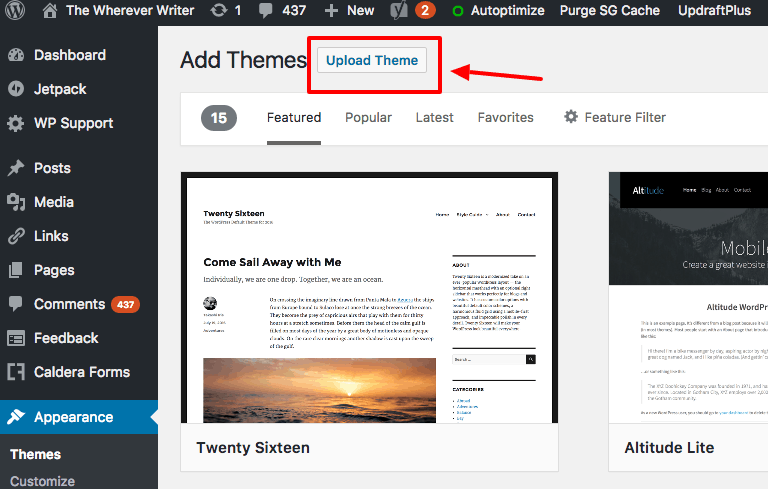 Installing WordPress with SiteGround could not be any easier. Their support team will do it for you for free! After you sign up for your hosting, log in to your account and select the “Support” tab. 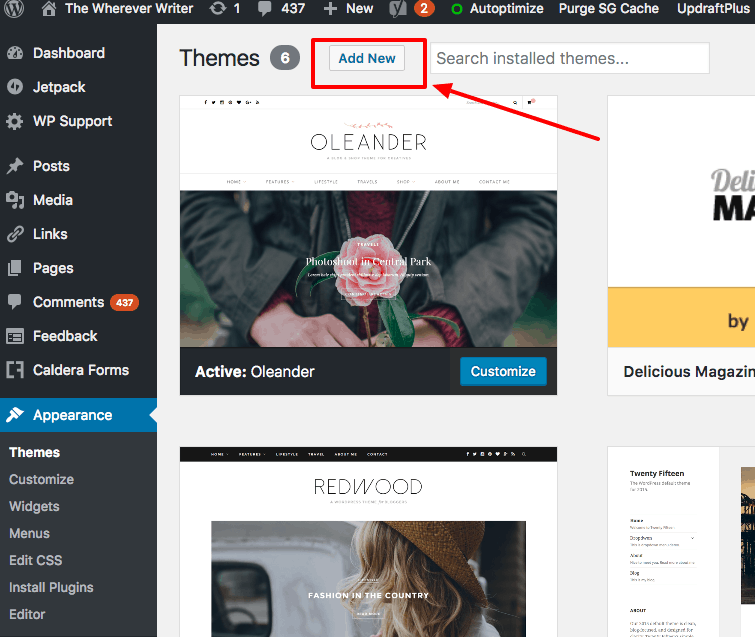 Step 5: Pick a WordPress theme. So you’ve got an address and a plot of land, now it’s time to build your house! You want its exterior to be visually pleasing, and most importantly, you want it to be inviting to your ideal visitor. My FAVORITE company to buy WordPress themes from is SoloPine. They have very clean, feminine designs. Plus, they have unbeatable support representatives who always respond to you quickly and help you solve any issues you may run into. I previously had their Redwood theme installed and loved it. I recently updated to Oleander and think it’s gorgeous. When you buy a WordPress theme, the design company you bought it from will email you a downloadable file. When you download the file, it will be a .zip file. DO NOT UNZIP IT. Leave it as is. Now ALL you have to do now is upload the .zip file you received when you purchased your theme. DO NOT UNZIP the file. Just upload the zipped file, and you’re good to go! Ta da! 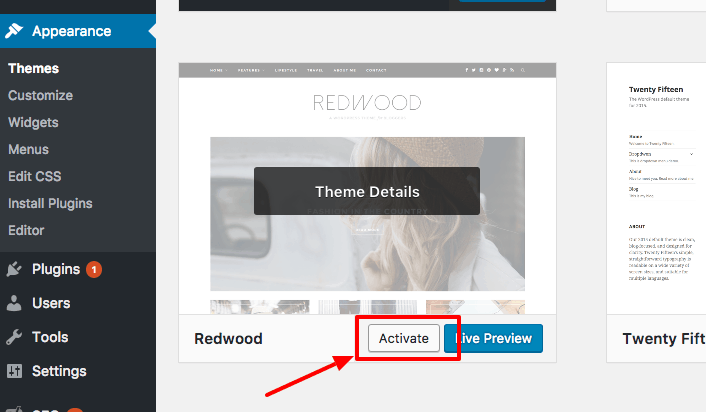 Go to your site and you’ll see your new WordPress theme! Bluehost vs. SiteGround: Which Webhost DOUBLED My Site’s Speed? WordPress theme lookin’ a little rough? That’s because now you need to customize the theme. Go to Appearance > Settings > Customize to tweak your theme to look the way you’d like it to look. If you need technical help, contact the maker of your theme. One of the many reasons I love SoloPine is they include ONE FREE YEAR of tech support with their themes. I email them every time I want to do a bit of advanced customization, such as insert CSS to change the width of my navigation bar, and they always email me back promptly with EXACTLY what I need to do. Step 6: Start producing awesome content! My biggest piece of advice to beginner bloggers is this: Stop worrying about publishing new posts every day, or even every week. What works best (as in, ranks well in search engines) is high-quality, long blog posts. Take your time to do research and write a blog post that solves someone’s problem. Think of what people are searching for, and write a blog post answering their questions about it. It’s quality over quantity. 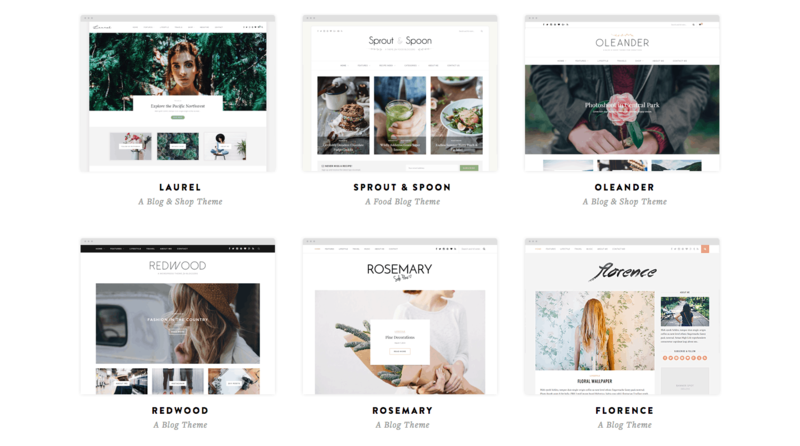 Now you know how to start a blog on SiteGround—You did it! Woohoo! Give yourself a pat on the back because you just built your own website/blog! I hope you found this guide on how to start a blog on SiteGround super helpful. Comment below with any questions! So…How do you make your first $1K with your new blog? The key is creating blog posts in a strategic way. You need a goal in place and you need to actually help people. Check out my February income report to see how I made $3,575.05 in one month from this blog!